Today I was feeling lethargic and whenever that happens, look out! Either I go into a music frenzy, playing all of my old favourites (Def Leppard and early Madonna full force baby!) or I become a stir crazy baker. Or I do both at the same time. Which is exactly what I did today. In our family we do everything to music. It just makes doing anything way more fun! 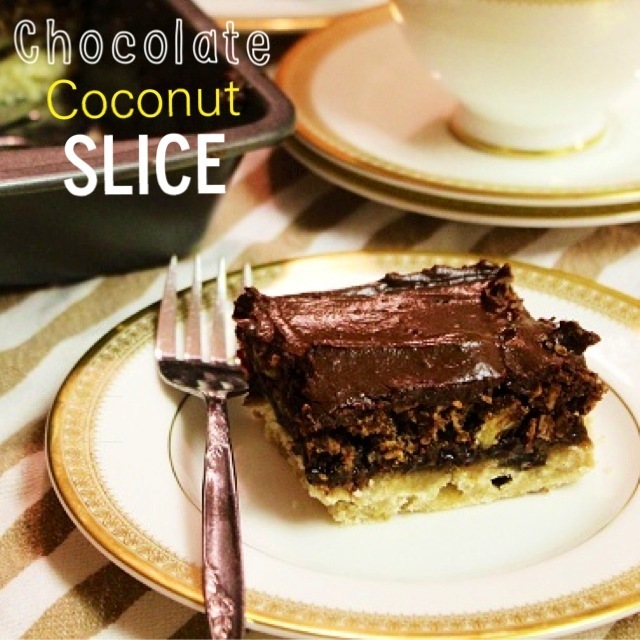 I decided to bake my mom’s classic recipe, Chocolate Coconut Slice. So put your music on, get your groove on and get baking! Measure first 4 ingredients into a bowl. Crumble together. Press into a 9×13 ungreased pan. Beat eggs until foamy. Add rest of the ingredients and stir well. Bake at 350 oven for 30 minutes. Stir all ingredients in a small bowl, adding more liquid if needed to spread. Note: I keep this cake covered in the refrigerator until ready to serve. 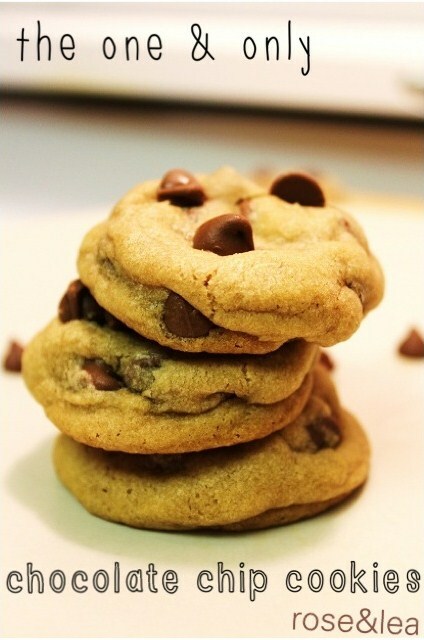 After searching high & low for the perfect chocolate chip cookie recipe, I have finally found the one! 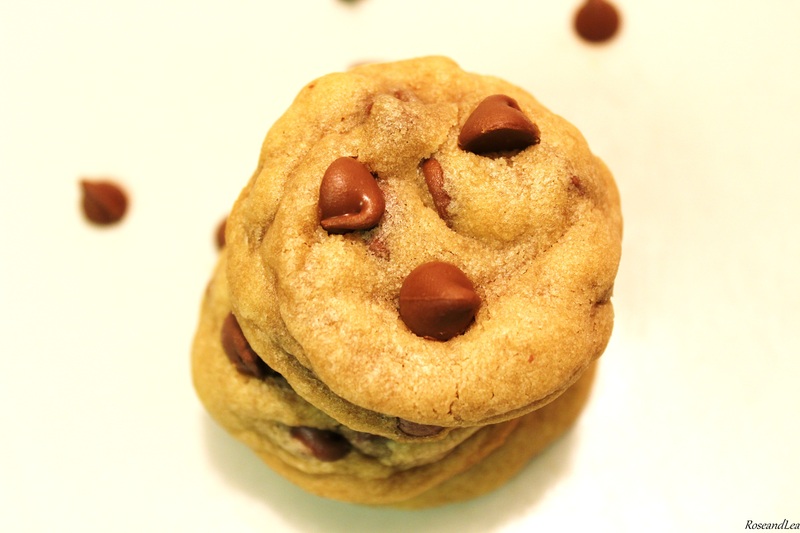 You may be asking how this recipe is any different than the other billions of chocolate chip cookie recipes out there? 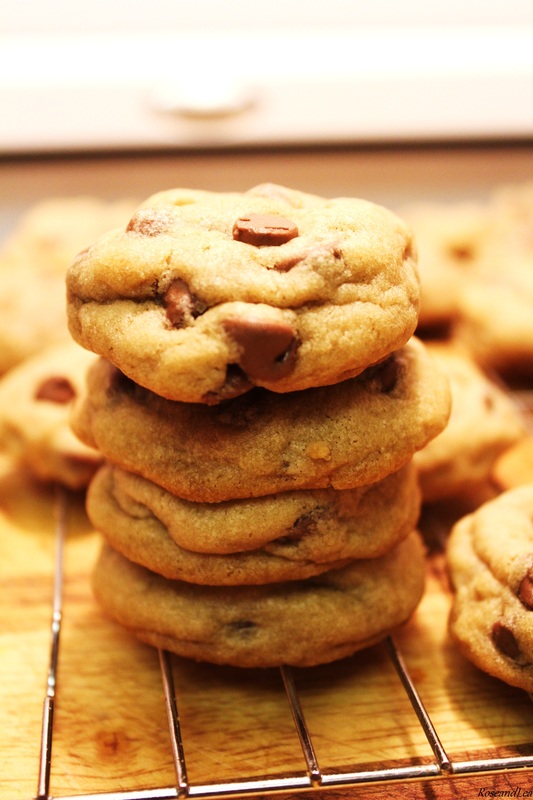 Well let me tell ya – the main reason for their goodness, and the secret ingredient to making these cookies so thick, soft, gorgeous & chewy is…. Cornstarch is the ingredient that makes these cookies so thick & chewy, and gives them that delicious soft-baked quality. Funny how one ingredient can make all the difference! 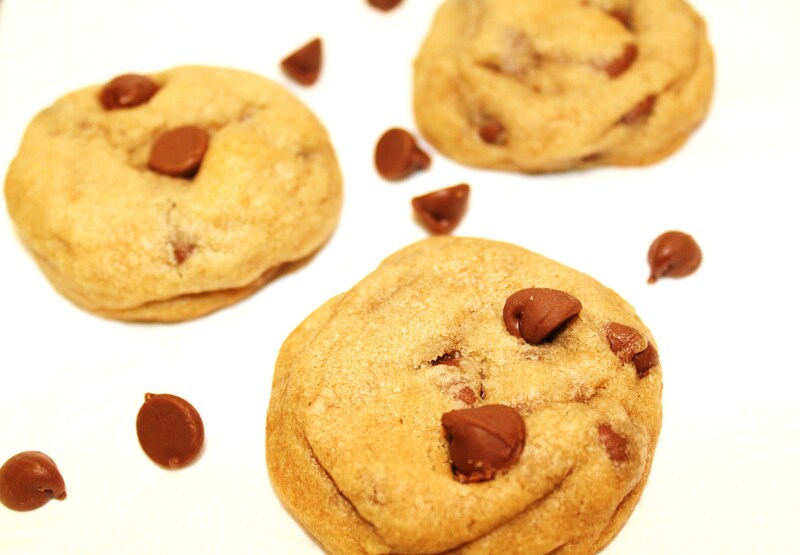 All of the chocolate chip cookie recipes I have made in the past did not use cornstarch. The difference in cookies using cornstarch was like night & day. The other main component as to why these cookies are so chewy and moist is because of the higher ratio of brown sugar to white. 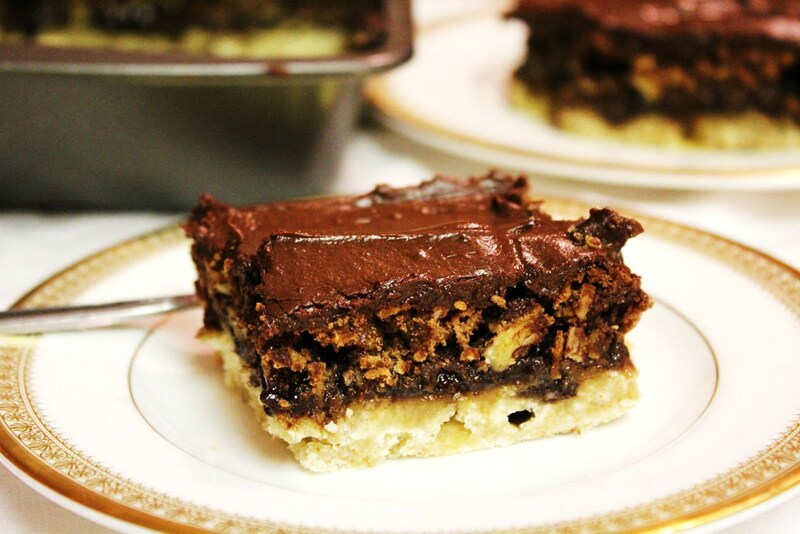 Not only is this recipe the BEST tasting, it is also super easy & straightforward. No crazy ingredients are used – you’ll probably already have all of the needed ingredients in your cupboard! 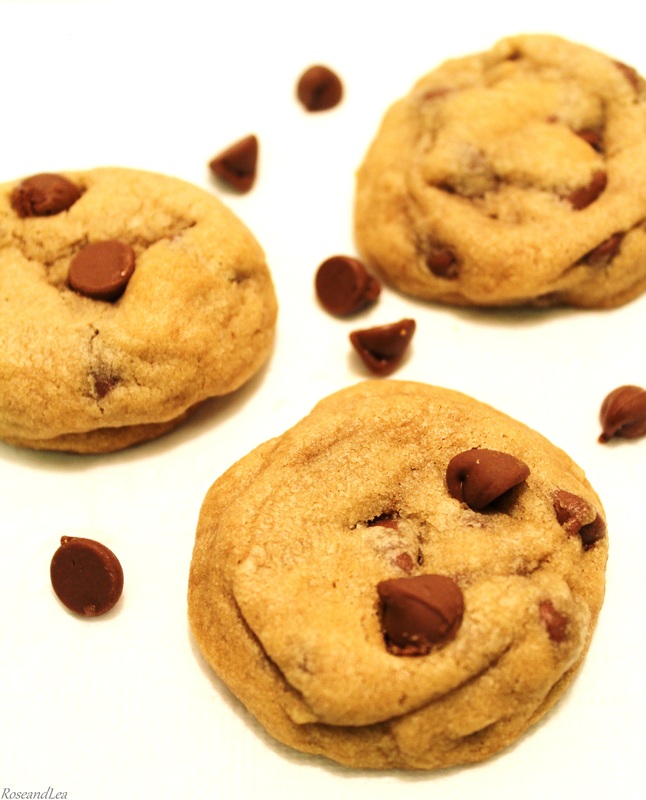 This is the recipe that I’ve been looking for, the classic chocolate chip cookie – the one that I’ll be making over and over again for years. In a large bowl using a hand-held electric mixer or in the bowl of your stand mixer (fitted with the paddle attachment), cream together the butter and sugars on medium speed until light & fluffy. Mix in the egg and vanilla. In a separate bowl, combine flour, cornstarch, baking soda & salt. On low speed, slowly mix the dry ingredients into the wet ingredients until all ingredients are evenly combined. Do not overmix. Stir in the chocolate chips. Cover, and chill in the refrigerator for at least 30 minutes – 1 hour. 2. Preheat oven to 350 degrees F. Line an ungreased cookie sheet with parchment paper. (If you don’t have parchment paper, just leave the cookie sheet plain.) 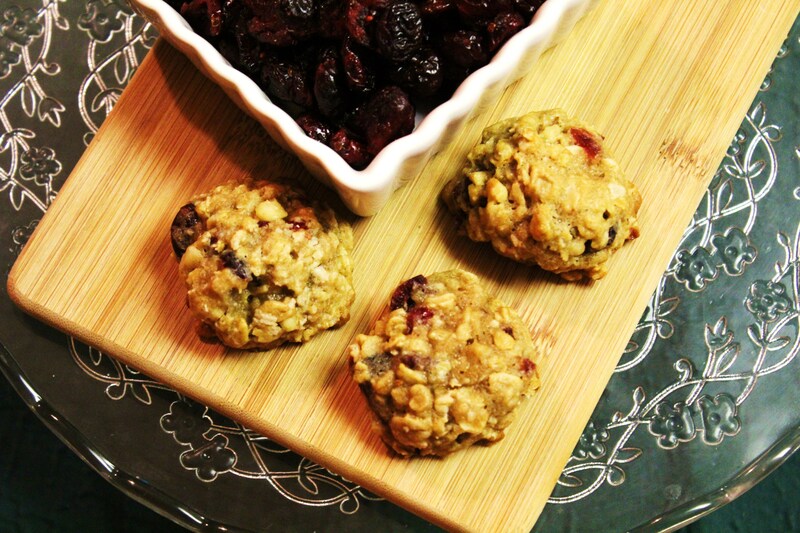 Using your hands to form the balls, roll dough into 1 Tbsp-sized balls and place onto cookie sheets. If you want extra chocolaty cookies, press a few chocolate chips onto the top of the dough balls. 3. Bake for 8-9 minutes, until barely golden brown around the edges. They will almost look uncooked. Do not leave cookies in oven over 10 minutes! Remove and let cool for 2-3 minutes on the cookie sheet. If the cookies are too puffy for your liking, gently press down on them with the back of a spoon. Transfer the cookies to a cooling rack. Note: Cookies stay chewy and fresh for up to 10 days in an airtight container. 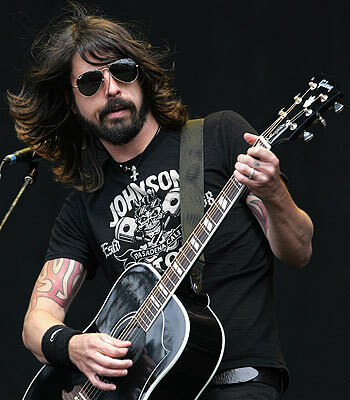 “Acoustic Guitars Are Not Rock N Roll” Whattt? I know all of you are dying to know. Did I renew my online dating subscription or didn’t I? You must be losing sleep wondering what I ended up doing. So not to keep you all in deep suspense any longer you should know that I did end up renewing my online dating subscription. Well, that’s not entirely true. I just didn’t cancel on time so it automatically renews. That system is either very efficient or sneaky, depends how you look at it. I knew perfectly well that my account was up for renewal on August 22nd and the days leading up to it I would look at my messages with that subtle flutter of hope that something would surprise me. That there’s one message waiting for me… gonna change my life. I know, I’m being extreme. I’m tired, it’s been a long, stressful kind of day. Work was umm, interesting. But let me get back to my work thing in a minute. I purposely let my online dating subscription renew with the justification, ya just never know what will happen. Having more options is always a good thing, so that’s what I’m going with for now. However, I have seen a huge transition in my whole outlook on dating since my divorce. I was discussing it over sushi with a girlfriend last week, she has already gone through that ‘dating transition’ after her divorce so she related completely which is so awesome to have that validation from someone who gets exactly what you’re talking about! I think I might have given the impression on this blog that made it seem like I don’t get any messages on the dating site, that no one shows interest, or sends me winks and clicks the ‘they’re interested button’ when my profile pops up on their screen. That I go on zero dates, poor, poor me. I’m not that pathetic, yet. I should clarify, I do get plenty of messages (just none that interest me, you ladies know what I’m talking about here), have been on more meet and greets and dates then I care to remember (mostly) and now I simply feel different about the whole process. The thing is I am not trying to fill that ‘being a couple’ void anymore. I am more focused on me, myself, figuring out who I really am on my own. And guess what? I am content on doing exactly that. I’m pretty damn impressed with myself too. Oh hell yeah I am! It’s like my own personal achievement, some sort of self realization that I finally see. I’m a late bloomer, what can I say! I do have to say that since my online profile was renewed yesterday, for some strange reason my email sorta blew up yesterday and today with an unusual amount of messages and winks (who doesn’t appreciate a wink right?) Hmmm, not sure what that means or why there’s so many? A sign of encouragement from the dating site gods, like ‘way to not give up Laura!‘ or ‘keep up the positive awesome attitude, good things are coming!’ Not too sure what it means. Probably nothing at all. I tend to make up fantasy reasons for things, love the mystery ya know? Oh yeah, I almost forgot. Let me finish by giving you the brief run down on my less then stellar, stressful day at work. Let me just say that I was to have a big important meeting with a big important person, (aren’t they all so important?) Anyhow, busy busy busy with prepping and organizing and I pretty much felt totally confident with my overall presentation. Now long story short, I had a theme for this event and that was to represent rock and roll and a particular rock star. His picture was plastered everywhere and on my main display among many rock and roll themed items, I had displayed an actual guitar. My boss pulled me aside 15 minutes before the main ‘important’ person was to show and proceeded to tell me that the acoustic guitar was not rock and roll. She firmly argued her view, and even went on to say that acoustic guitars make her think of classical music, not rock n roll. And she was completely, 100% dead serious. She drilled me for at least 15 minutes as to how I think the guitar fits into the theme. I have been to probably hundreds of music concerts and shows (plenty of rock and roll shows) and I’m pretty sure they use guitars of all sorts. Electric and acoustic. Heck violins are even used in some rock bands. I was totally taken aback and frankly confused at the questioning. It didn’t make one bit of sense to me yet she was sitting there looking at me like I was not making one bit of sense to her. I stood my ground and defended the good graces of all things rock and roll and said I disagree with you! When it comes to certain things in life, a girl’s just gotta stand up for what she believes in. What’s In Her Bag? Laura’s Summer Beauty Picks. I get asked all of the time what my favourite products are and what products do I use. Being in the cosmetic business and working as a make up artist for many years, I have used hundreds of products. In fact, too many to list in a single sitting! 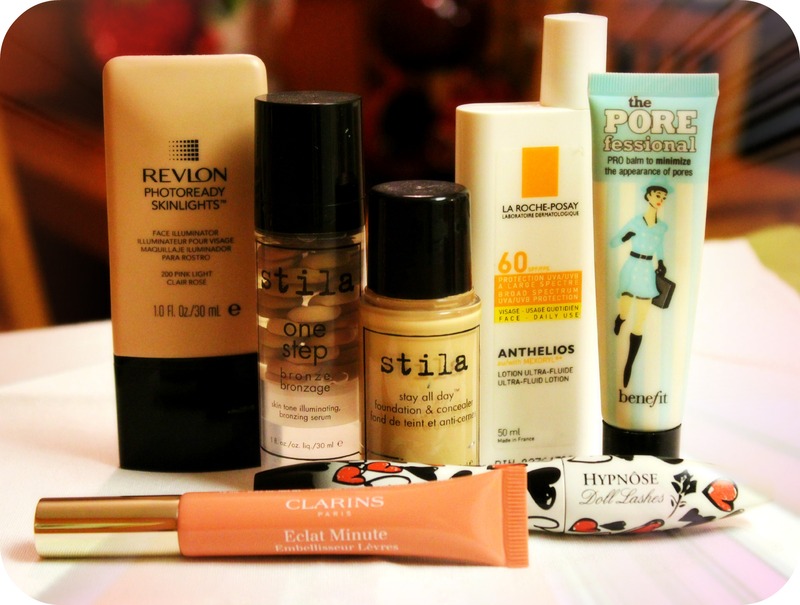 So I decided I would share what products I am currently using this summer. I try new products constantly and change things up often but this group of products are my staples. Revlon had this product years ago but it was discontinued at least 3 years ago. They relaunched it (in new packaging) this past spring and I was so excited to find it again. I use it as a highlighter on my cheek bones. Can you say glowy and gorgeous? This is a primer with a bronzer built-in so you get that slight bronzed radiance that looks completely natural. You can use it alone or I like to mix it with my foundation on top of my hand then apply it. I don’t always use liquid foundation but when I am needing a little extra coverage this has been my go to formula. You can achieve medium to full coverage and it wears for hours. It’s oil free and has botanical extracts which has many benefits including extra hydration and helps to slow down the onset of premature aging. Now who doesn’t want that benefit? An added bonus, it comes with a coordinating concealer which is attached to the lid. Very handy. Now I don’t have to tell you just how important sun protection is, especially for your face. It’s our #1 protection against premature aging. Now that should catch more then a few ladies attention. We hear it all of the time, but most women don’t use any or apply enough when they do use it. Dermatologist recommend using SPF everyday. Yes, even in the winter. 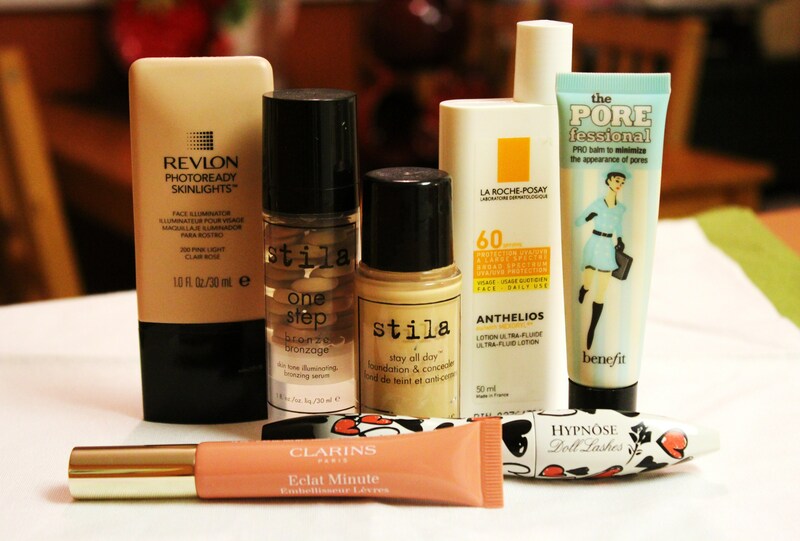 I am more of an oily t-zone skin type and I don’t love the feeling of thick heavy products on my skin. That’s why I am so thankful I found this little gem. It’s good for all skin types, light weight fluid, fragrance free, paraben-free and dries matte. What more could you ask for? This little miracle in a tube is just what the make up artist ordered! Porefessional is for, you guessed it, those dreadful pores. It fills in and smooths out your skin. This lightweight, oil-free primer can be applied under your foundation, ontop of foundation or simply alone. Since I already use a primer (Stila bronze) I apply this one lightly ontop of my foundation around my nose area. I can’t tell you what a difference it makes. You have to see it for yourself to believe it. Unfortunately we are not all born with beautiful long lush lashes so all of us ‘unfortunate’ ones have to supplement best we can. Like many other women out there we are forever searching for the ‘perfect’ mascara. For me, this Lancome Doll Lashes is pretty darn close to perfect. The cone shaped brush is designed to build and separate lashes without thick clumps. I very rarely find a mascara I will purchase more then once, but this one I’ve bought more than a few times. I am a big lip gloss girl and have to admit I’m kinda picky when it comes to choosing them. That probably explains my makeup drawer designated solely to glosses…approximately 70 or so. Not sure, I lost count. The reason I keep coming back to this Clarins one (always alternating the colours) is because it’s not sticky, heavy or gooey. It’s a soft gel formula that hydrates and nourishes your lips while your wearing it. Plus it’s so darn pretty. 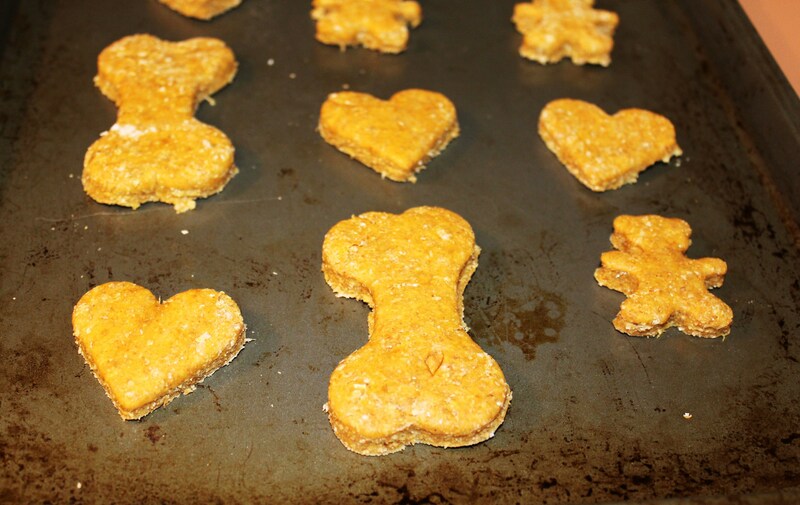 Pumpkin Peanut Butter Dog Treats! Whenever I bake something in the kitchen, Zeus is always near, watching me and I decided it was time to bake him a little somethin’ somethin’. 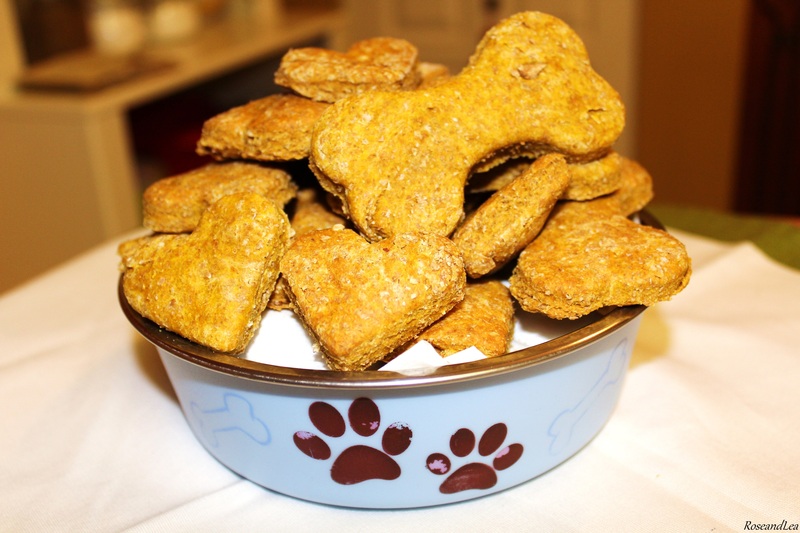 In continuing on with my pumpkin baking phase, these dog treats consist of pumpkin (of course), and all kinds of other healthy goodness – whole wheat flour, eggs, peanut butter, and cinnamon. I found this recipe on allrecipes.com which you can find here. I made a few slight changes though after reading many reviews. After looking through the reviews, I then googled every ingredient to double check that they are safe for dogs. So rest assured, all the ingredients are most definitely healthy for dogs. 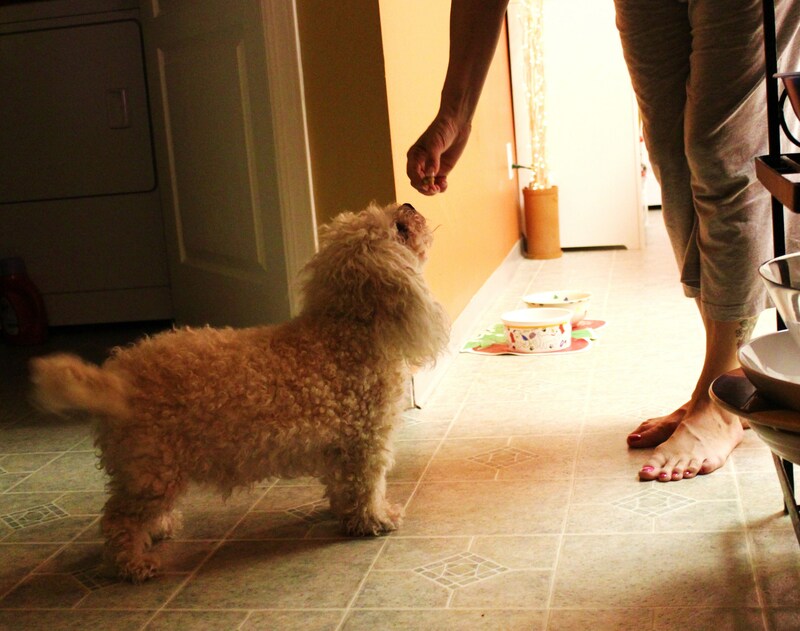 Pumpkin and peanut butter in moderation can actually have many health benefits for dogs. 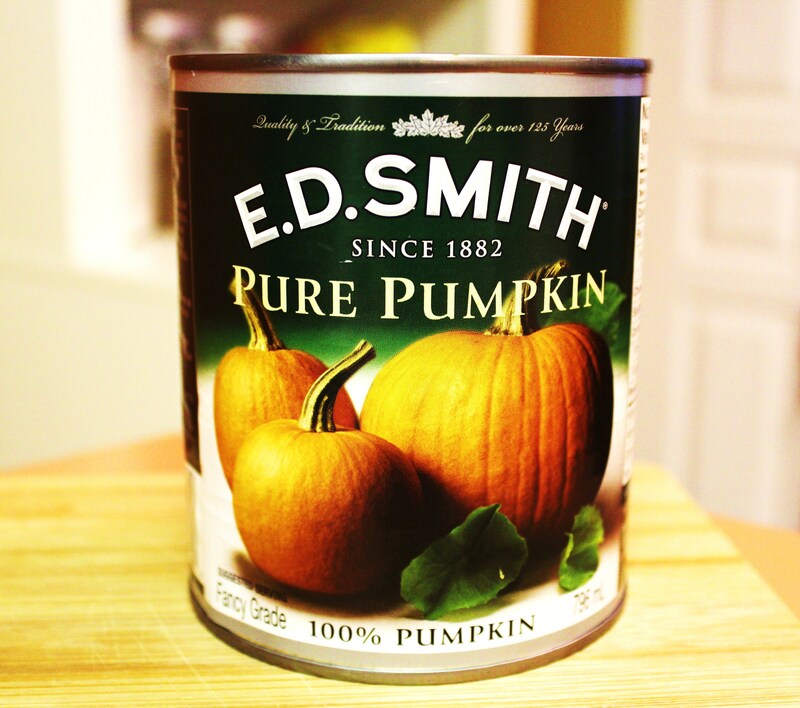 Pumpkin helps aid the digestion process, and is a good source of Vitamin E, Magnesium & Potassium. And peanut butter is rich in protein and contains healthy fats and vitamins E and H, which will help keep your dog’s coat healthy and shiny! I used a few different cookie cutters of various sizes. 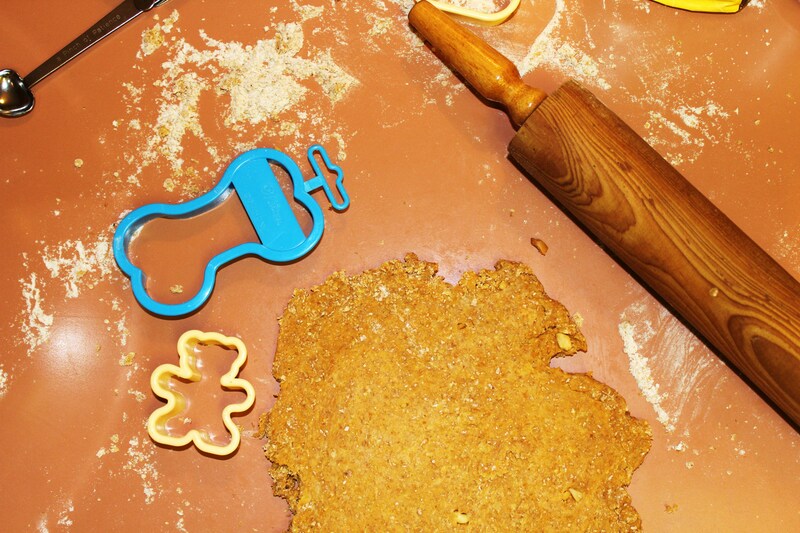 Use whichever cookie cutters you like! 2. In the bowl of your stand mixer using the whisk attachment, mix the flour, eggs, pumpkin, peanut butter, salt and cinnamon until well blended and batter appears clumpy, forming a bunch of small balls. The dough will be dry and stiff. Knead the dough with your hands and add water if needed to make the dough more workable. Taking 1/3 of the dough at a time, roll the dough into a 1/2-inch-thick roll. Cut shapes using your cookie cutters. 3. Bake in preheated oven, approx. 25-35 minutes. Note: These treats should be stored in a ziplock bag/airtight container in the refrigerator for up to 5 days. 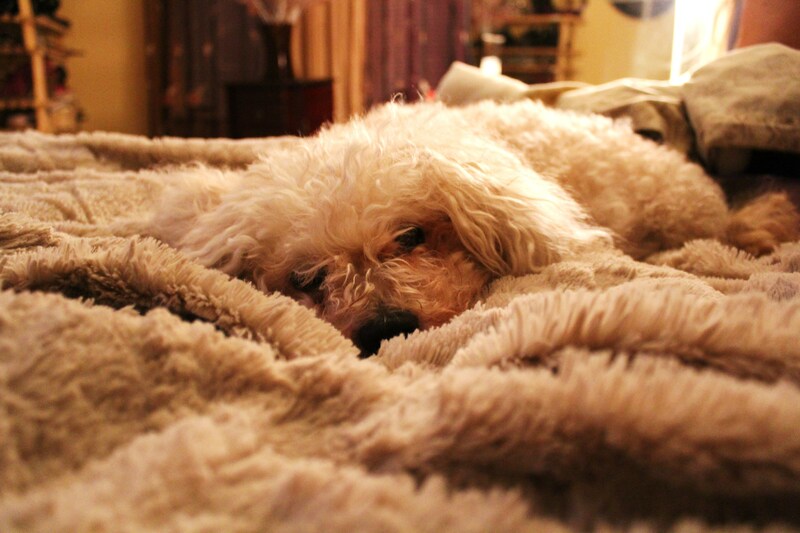 Hope you and your fur-baby enjoy this quick, tasty healthy recipe! The last two days have been filled with everything baking and a lot of trial and error. I had been looking forward to trying out zucchini bread, as I’d made zucchini muffins and cookies previously and they both turned out great. So yesterday I got to it & baked my very first zucchini bread loaf! What a let-down… it was the nastiest zucchini bread I’ve ever tasted. It was my first time making zucchini bread and I think it may be my last. That’s how bad it was. It turned me right off, and I doubt I’ll be baking with zucchini for awhile now. Since my love affair with zucchini died – today I’d decided I had waited long enough and it was time to start baking pumpkin goodies! YAY for PUMPKIN! Move over zucchini – there’s a new vegetable in town. Like many bakers, I have a massive crush on pumpkin. Pumpkin = Moist, Healthy, Sweet & Spicy Goodness. Who can resist? 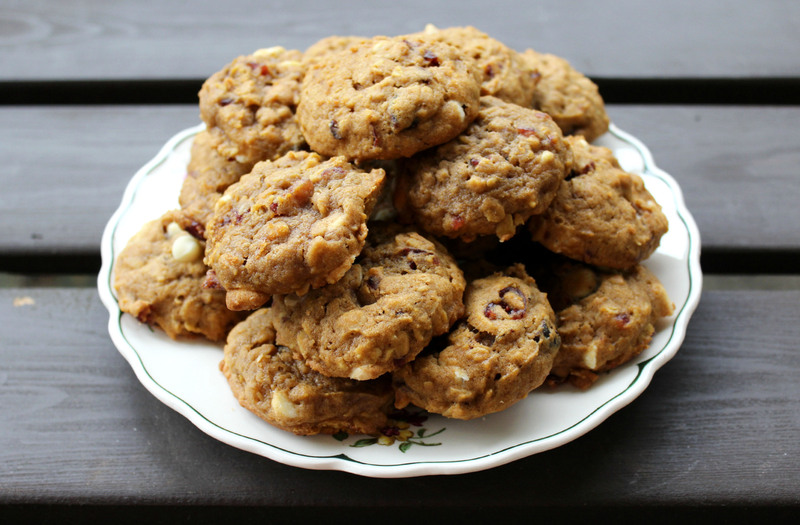 For my first pumpkin recipe of the year, I decided to bake Pumpkin Oatmeal Cookies with White Chocolate & Cranberries – and they most definitely did not disappoint. 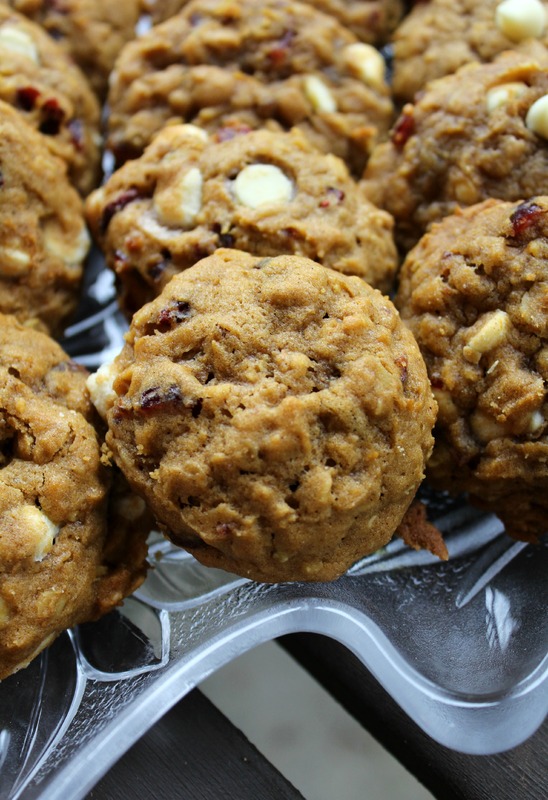 If you’re looking for the ultimate chewy, moist, pumpkin-spiced, oatmeal cookies – this is the recipe for you! 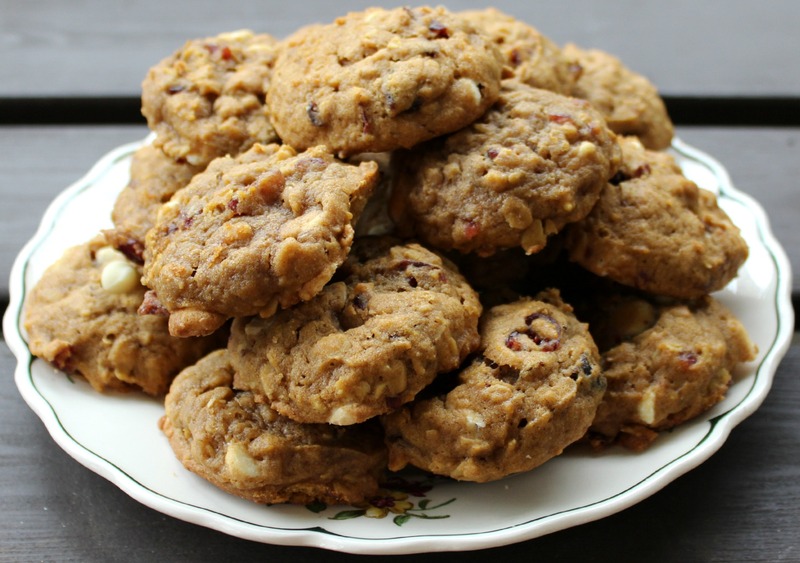 The pumpkin combined with the oatmeal, plus the addition of the white chocolate chips & cranberries give this cookie amazing texture, and tons of flavor. It is definitely one of my favorite pumpkin recipes! 1. 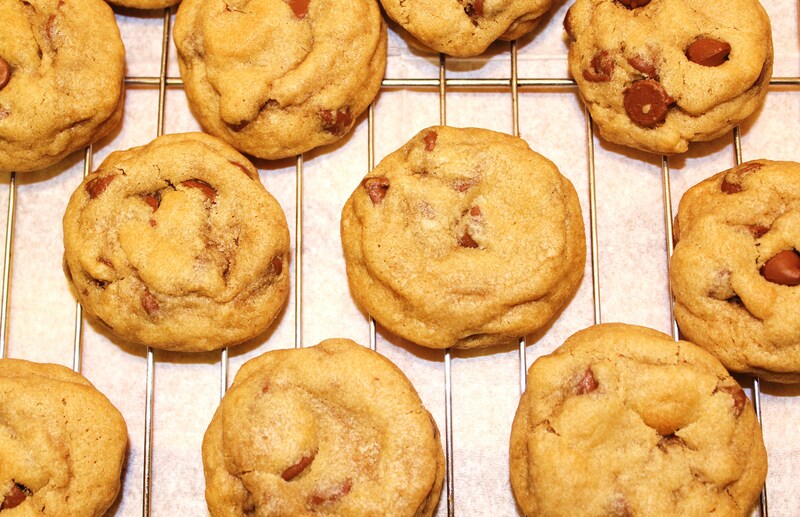 Preheat oven to 350 degrees F. Spray cookie sheets with non-stick cooking spray, or line with parchment paper. 2. Combine flour, oats, baking soda, cinnamon, nutmeg, allspice & salt in medium bowl. 3. Beat butter, brown sugar and granulated sugar in large mixer bowl until light and fluffy. Add pumpkin, egg and vanilla extract; mix well. Add the flour mixture and combine until all ingredients are incorporated. 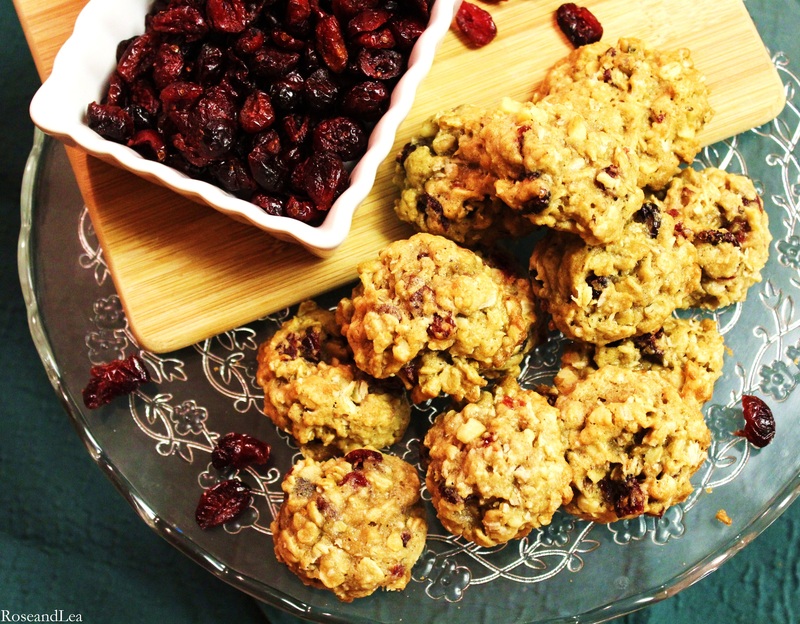 Fold in the white chocolate chips and dried cranberries. 4. Drop by rounded tablespoons onto prepared baking sheets. 5. Bake for 12-14 minutes or until cookies are lightly browned. Cool on baking sheets for approx. 2 minutes than remove to wire racks to cool completely. Note: Store cookies in an airtight container for up to 4 days. I’m looking forward to seeing all the pumpkin recipes start to pop up.